The half hour just before the sun reaches the horizon can produce a glorious "blue hour", where the light is shifted towards the blue spectrum. 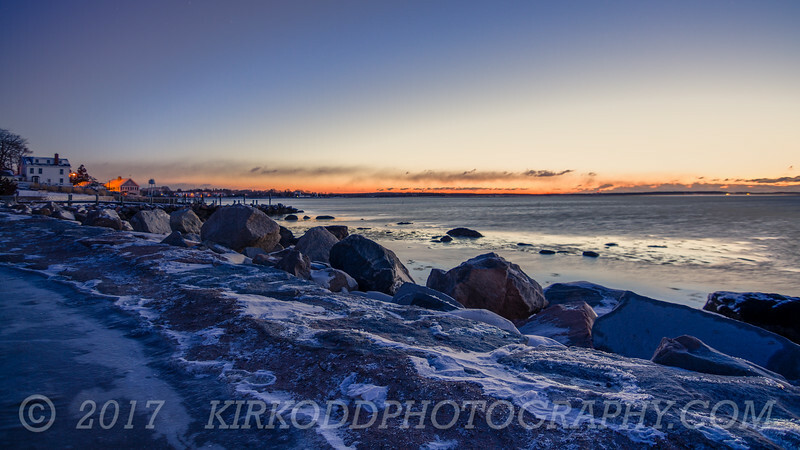 This scene, taken just before sunrise at Stonington Point in Stonington, CT, captures the first hint of color on the horizon and a perfect blue hour over the coastline. Buy framed prints at our store!